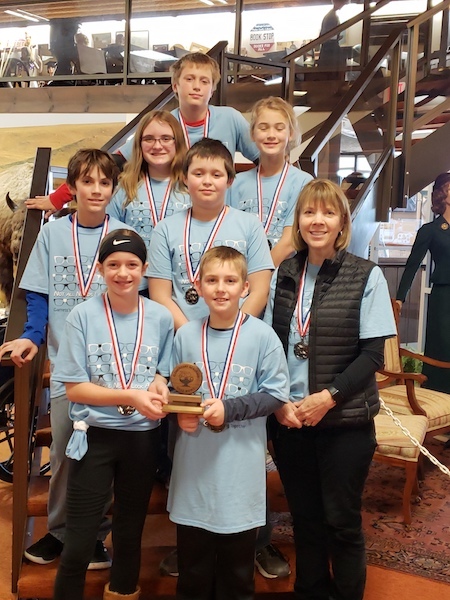 1st ALMA: Melanie Fischer, Coach. 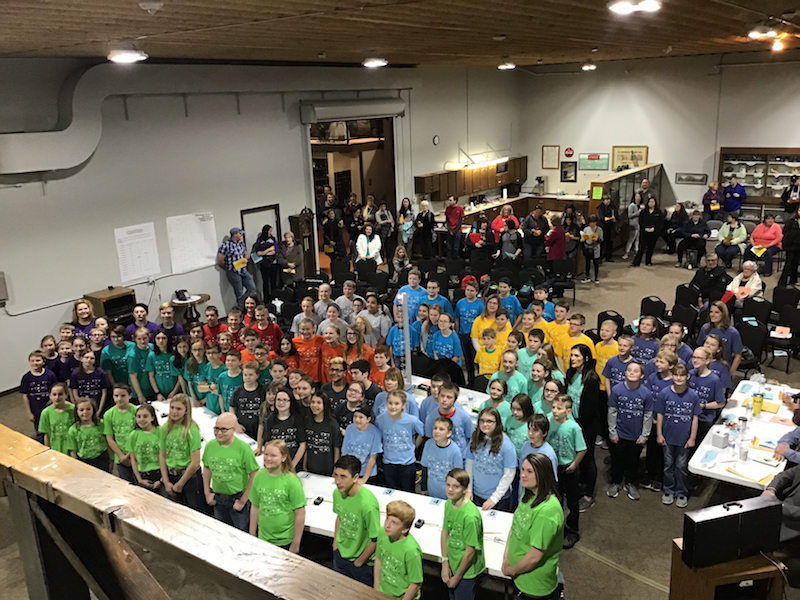 All thirteen of the Quiz Bowl teams were proud to support Bertrand’s Garrett Scholz who is battling Leukemia by wearing matching Garrett’s Pack shirts. 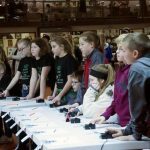 Garrett will be starting his bone marrow transplant this Friday, January 11. 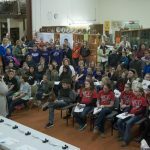 We will all be thinking of you Garrett! 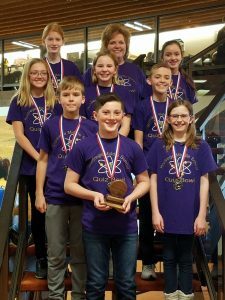 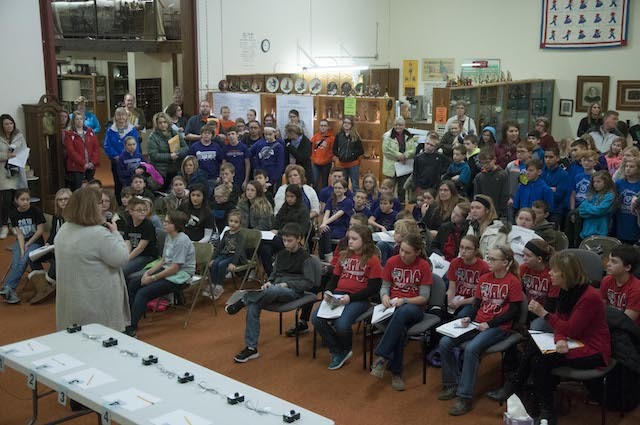 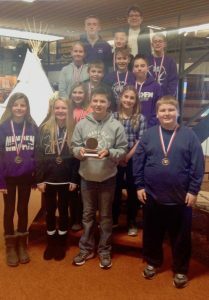 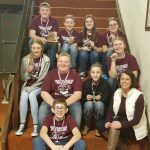 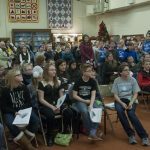 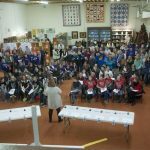 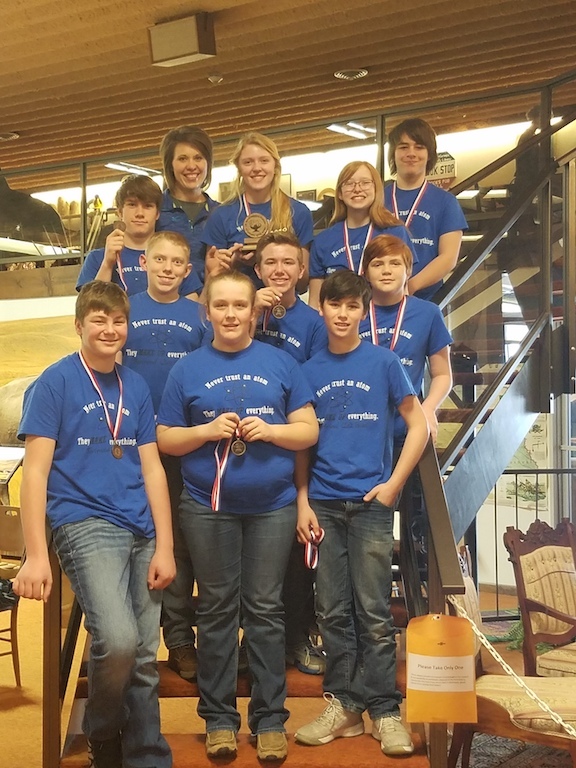 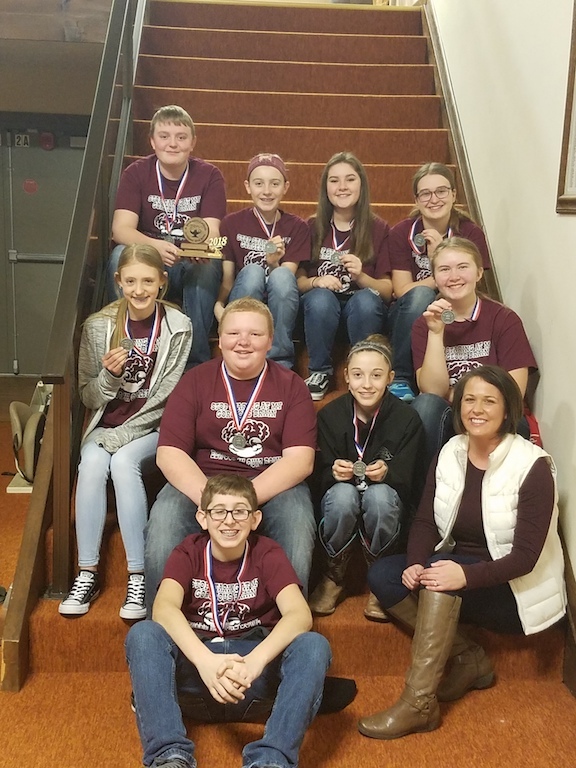 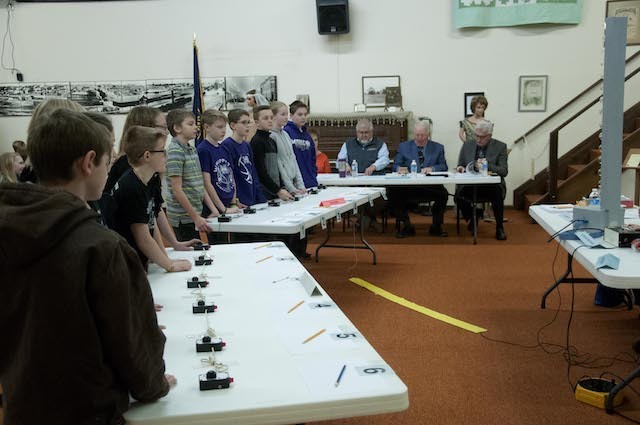 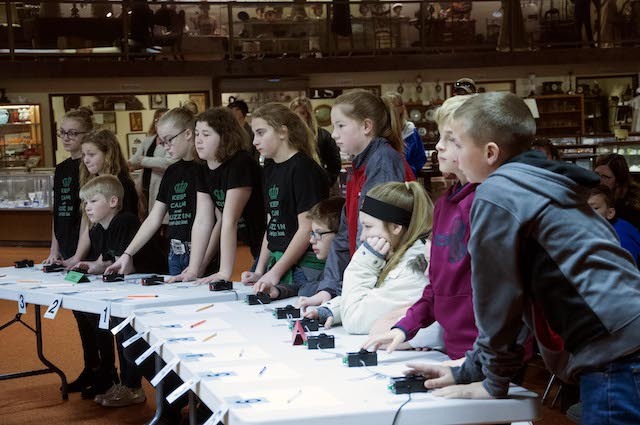 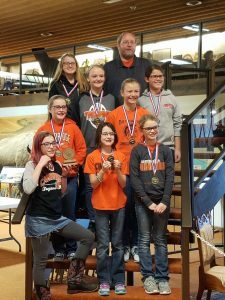 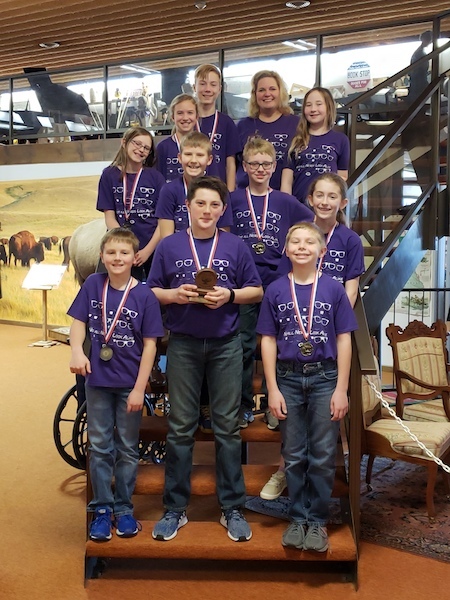 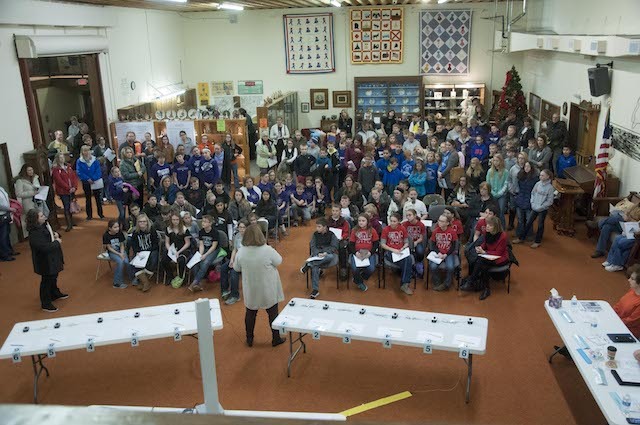 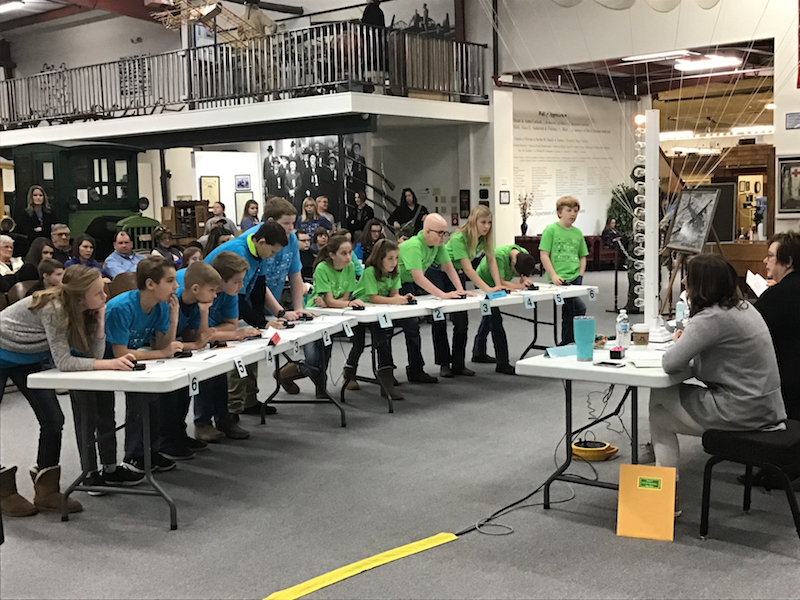 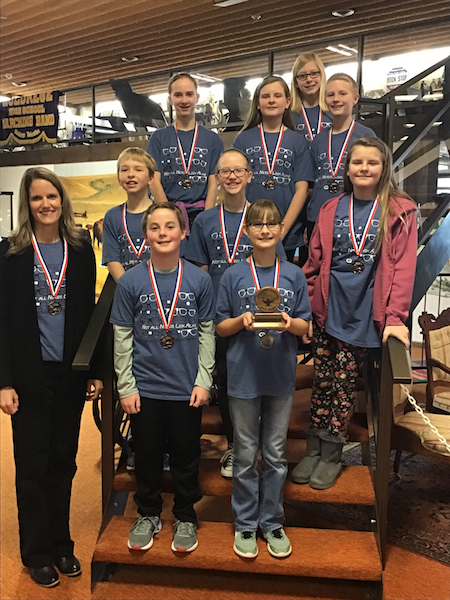 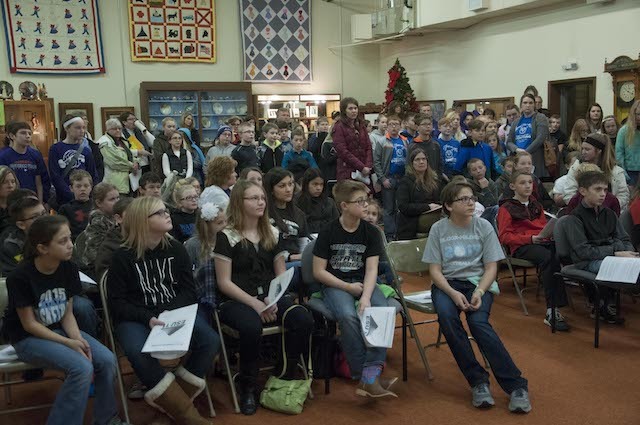 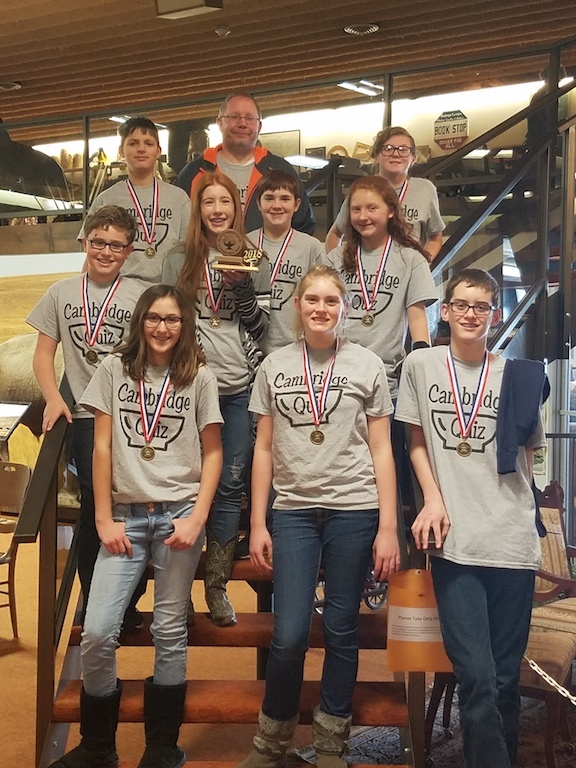 ESU #11 sponsored the 25th Annual Elementary Quiz Bowl at the Nebraska Prairie Museum in Holdrege on Wednesday, January 17th. 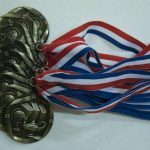 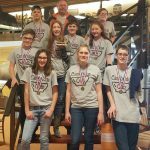 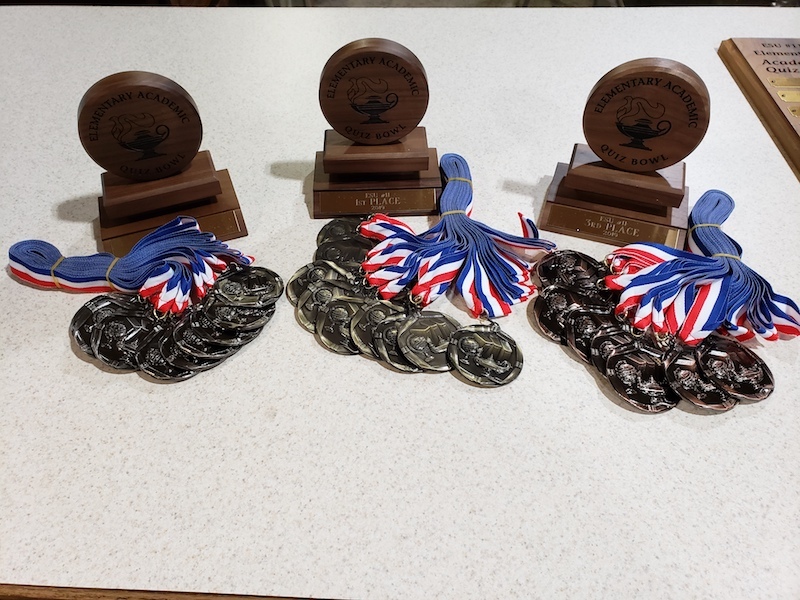 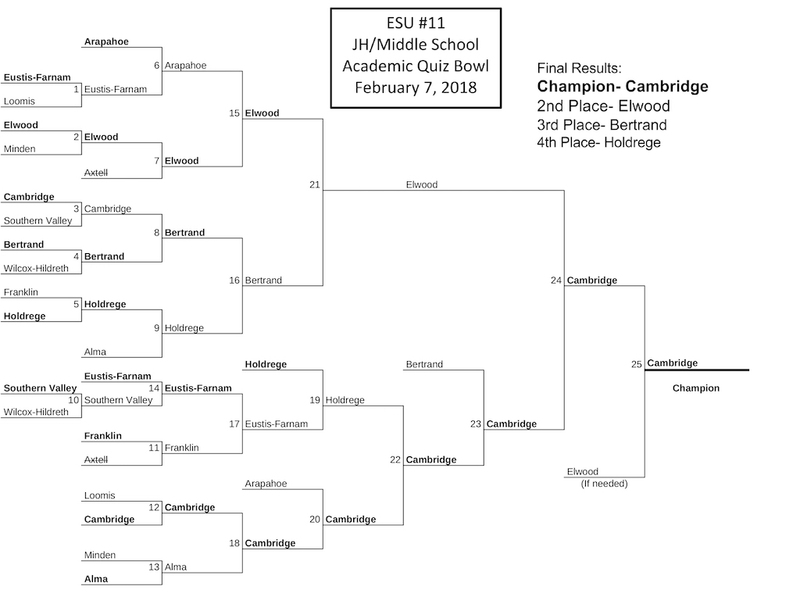 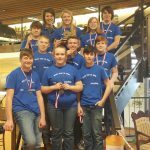 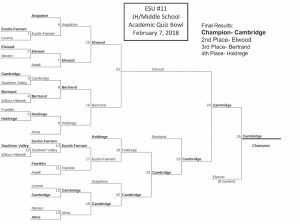 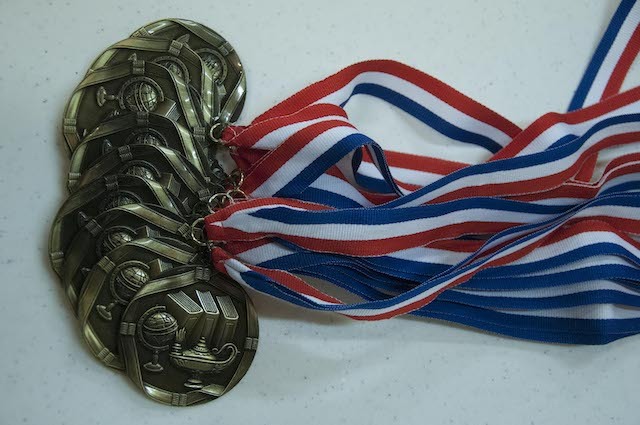 Teams attending were Alma, Arapahoe, Axtell, Bertrand, Cambridge, Elwood, Eustis-Farnam, Franklin, Holdrege, Loomis, Minden, Southern Valley, and Wilcox-Hildreth.